I had some great ICE time last week. 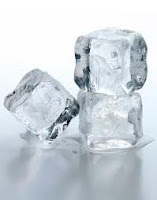 As you may be aware, ‘ICE’ is an acronym for ‘In Case of Emergency.’ (Also Immigration and Customs Enforcement, Irate Customer Evaluation, Isoflavone Clover Extract, and many more.) I know I’m supposed to have an ICE contact listed in my cell phone. That way, should someone find me unconscious on the floor of a coffee shop after one too many espresso-ccinos (if that’s not a real coffee drink, it ought to be), he or she will know who to call. If and when I ever get around to it, my ICE contact will be my husband, of course, with perhaps ICE2 being any local establishment that can deliver hot soup. But my ICE time was different. No, I didn’t join a women’s hockey league, though I’ve always thought that would be fun. My ICE time was for writing, not skating. Frustrated by the frequent encroachment of life’s many little obligations, I decided that I needed to set aside a few hours to just write. During this time, I would be available to the outside world only In Case of Emergency. Before I began, I thought it prudent to define what would constitute an emergency. Obviously, fire, flood, plague, pestilence, or a call from the school nurse would require immediate attention. But how about a forgotten homework assignment, wallet, lunch, or project? Or a friend or family member needing assistance with something which may not be an emergency but important nonetheless? I decided that if such a situation arose, I would deal with it on a case-by-case basis. At 9:30 in the morning, when the house was quiet, I sat down at my computer with my cup of green tea and my two squares of dark chocolate. At first, I felt restless, as if I should be doing other things. Laundry, for one. But everyone still had at least one pair each of clean socks and underwear, so that was not an emergency. Neither was my perpetual list of errands. No one would suffer if I skipped a trip to Target. When I realized I had no real reason to wander off, I found myself tempted by computer diversions. Email. Blogs. Various internet timewasters, including twitter. But by no stretch of imagination were those pressing matters. (Please tell me there’s no such thing as a twitter emergency.) Other than answering one quick email from my husband, I did not succumb. After about fifteen minutes, I realized how great it felt to switch my focus from my external world to my internal one. I logged about three uninterrupted hours of writing time, and, even better, I was reminded of how much fun writing can be. I’ll be sure to schedule more ICE time for myself in weeks to come. What helps you plan your writing time? Love the idea of ICE time. Keep us posted on how it works out for you. Don't let that ICE melt! In my attempts to get organized, I've been setting different tasks for different times. So far, it's worked fairly well. It has helped me accomplish more [mostly by doing less social networking]. When I first started writing, a whole 10 months ago, I thought I had to get everything else done first. Even the most trivial thing had to come first – think buying my brother’s birthday card in January when his birthday is in March. After spending several days indoors when it was 20 below, I began to realize I had a choice. It was so much fun having hours at a time reading about the craft and actually writing. Now I schedule tasks, appointments, and shopping around my writing hours or days. Of course, I still procrastinate…like I should be practicing my pitch for the conference but I am writing this comment instead. What helps me plan my writing time? It's the solitary cry of an eagle, the trickle of water under a bridge, a smile from a child, a line from a movie, or a vibrant dream. Any moment that sets itself in my path and says, "notice me and you will grow". I do a lot at home with a Do Not Disturb sign on my office door, but sometimes the call of laundry, kitchen, garden or the Internet means I have to leave the house. Usually that means going to the library, but sometimes it's a coffee shop. I take my computer but turn off the wi-fi altogether. I usually stay until the battery gives out, between 3 & 4 hours. Then sometimes I continue with pen and paper if I'm on a roll or want to brainstorm an upcoming scene. informative and epic. I agree with Kerrie.